We’re officially obsessed with this dreamy laced gown from Ginger Wedding! 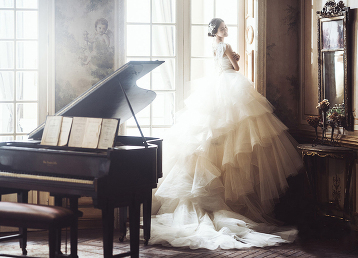 Sophie Design takes dreamy to a new level with this voluminous gown! Utterly blown away by this gorgeous gown from B.B. Duo featuring dreamy layers of unique colors! 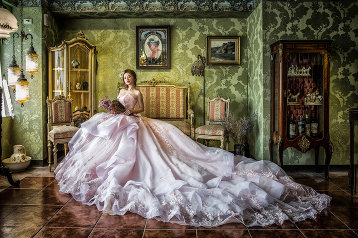 We are obsessing over this princess-inspired wedding gown from Bella Wedding Dress featuring a dreamy long train! 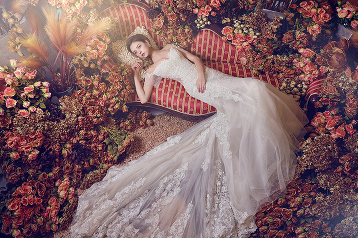 A jaw-droppingly beautiful gown from Royal Wed featuring gorgeous floral embroideries and a dreamy long train! 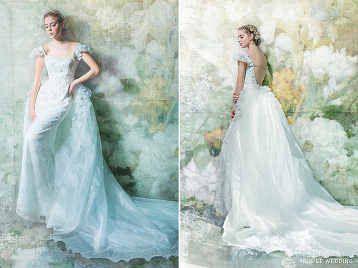 This dreamy blue ruffled gown from S.eri Wedding Dress will definitely make your princess dream come true! Head over heels in love with this romantic Hardy Amies London gown featuring dreamy flower appliques! 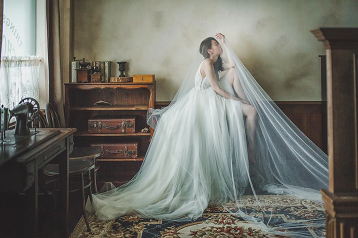 This dreamy wedding dress from Jenny Chou Wedding featuring a romantic tulle skirt is making our hearts sing! Baby’s breath lovers? 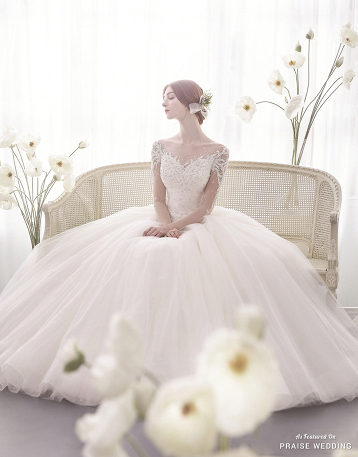 This gown from Kiyoko Hata is sure to fulfill your princess dreams! 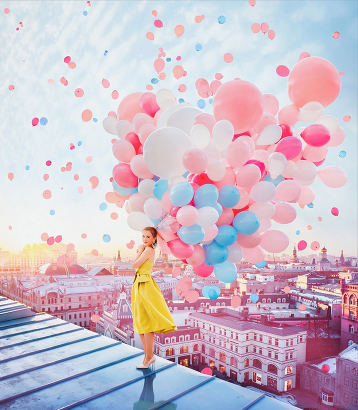 This dreamy portrait filled with colorful balloons and gorgeous city view reminds us that once you choose hope, anything is possible! 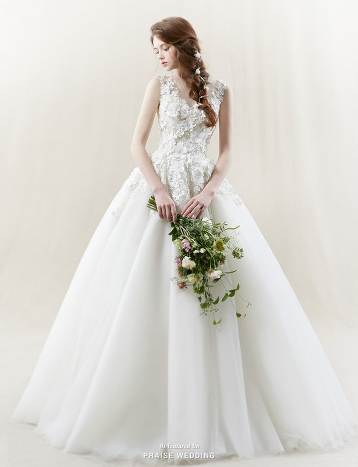 This dreamy wedding dress from Sara Mrad demonstrates a whimsical spirit while maintaining modernity! This dreamy ball gown from Romance by Nicole Spose features a time-honored silhouette adorned with magical trendy details! 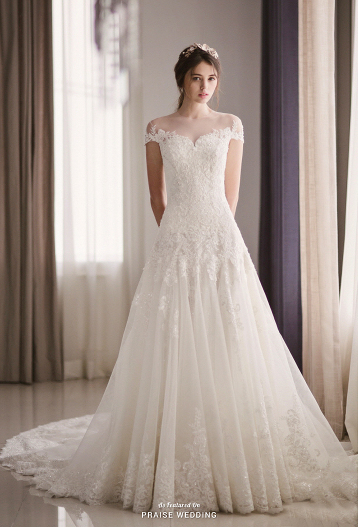 This romantic wedding dress from Bridal Suji featuring dreamy lace detailing is fit for a modern princess! This dreamy gown from The Maro Wedding featuring unique lace detailing is utterly romantic! 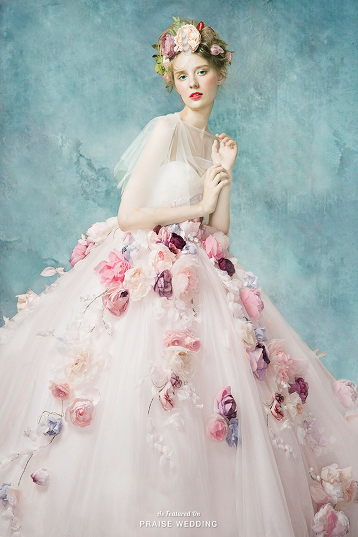 Shiniuni takes dreamy to the next level with this fairy tale gown featuring spendid 3D florals! 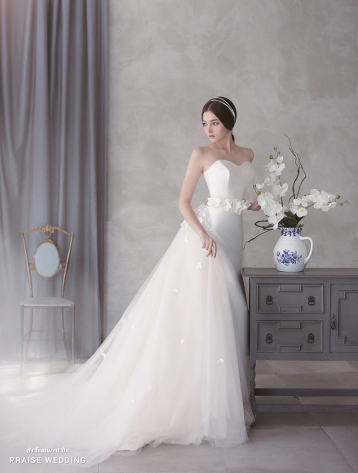 This dreamy wedding dress from Claudia Company featuring 3D floral appliques has captivated our hearts! This graceful feminine gown from Milla Nova featuring French lace detailing and a dreamy silhouette is fit for a fairytale bride! 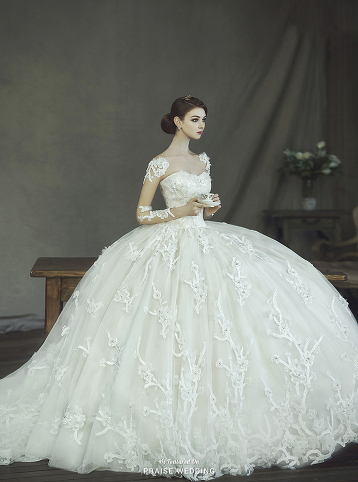 J Sposa takes dreamy to a new level with this voluminous ball gown! This dreamy feather-filled gown from W.H. 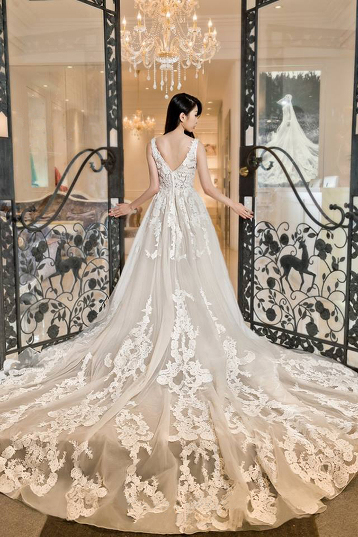 Chen Haute Bridal is fit for a modern princess! We’re so in love with this stylish gown from J Sposa featuring a dreamy detachable train! In love with this angelic gown from Sophie Design featuring dreamy sleeves and stylish overlay! This dreamy wedding dress from J Sposa combining romantic embellishments and airy tulle is full of angelic charm! 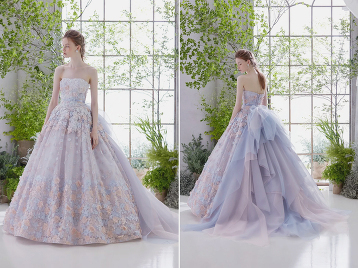 Totally blown away by this dreamy ball gown from Clara Wedding featuring vine-inspired applique! In love with this angelic gown from Marie & Barbie featuring dreamy horsehair trim! 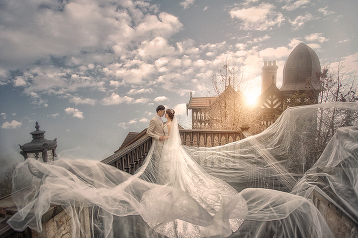 Utterly romantic rose garden-inspired prewedding portrait featuring a dreamy ruffled gown. Captivating bridal inspiration overflowing with classic elegance and dreamy fairytale vibes!